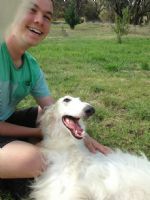 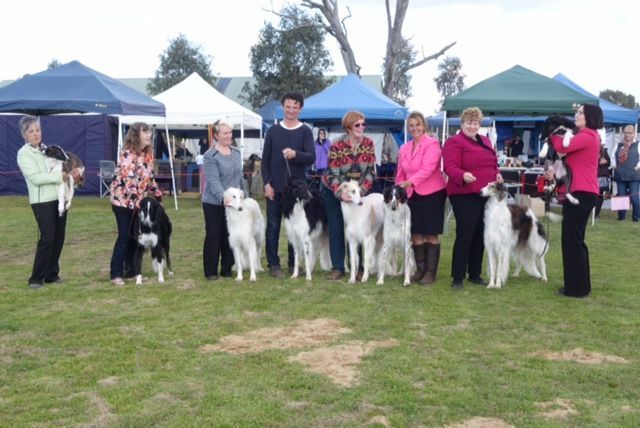 Photos on this page are from our members, or past and present dogs and their people doing some of the things that Borzoi are so good at; enjoying time with their families, running & playing, showing and generally just enjoying life. 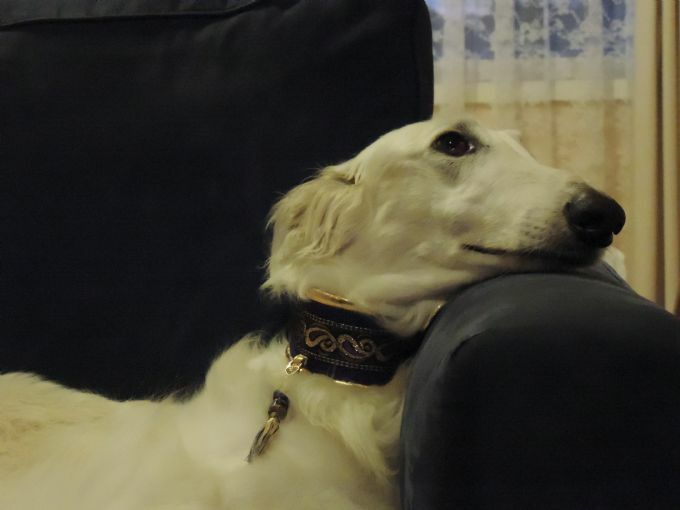 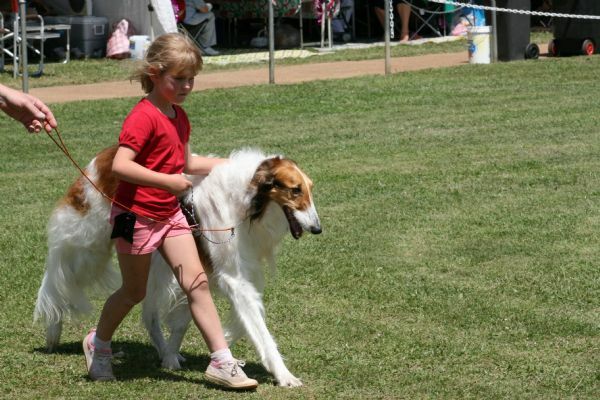 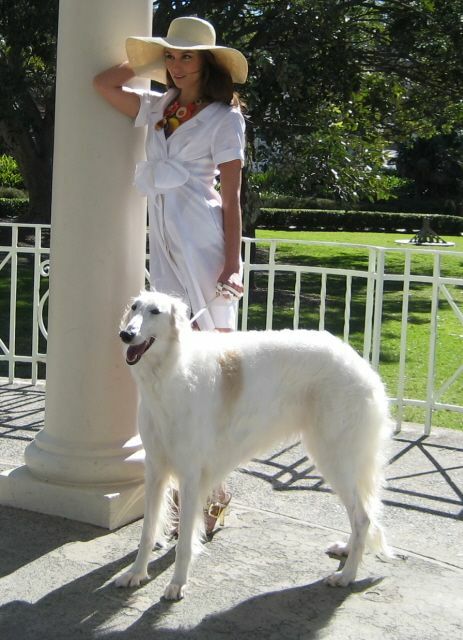 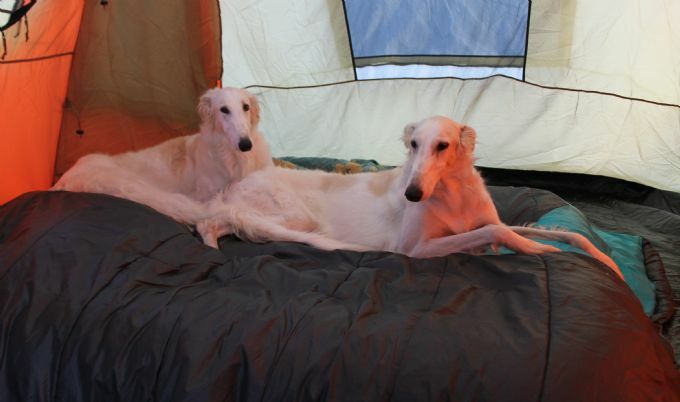 We also have some special photos of less ordinary Borzoi activities, including fashion modelling! 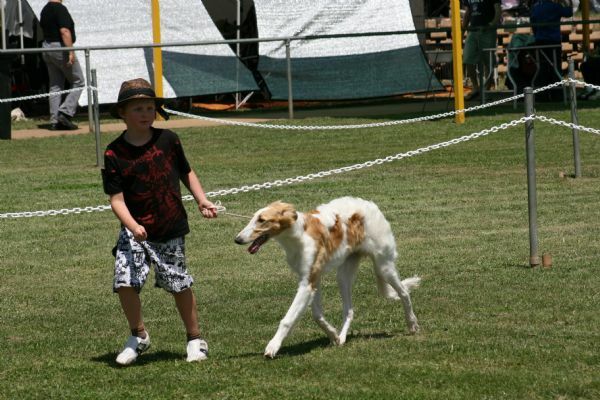 This page will be continually updated as we gather old and new photos to share with our visitors and breed admirers. 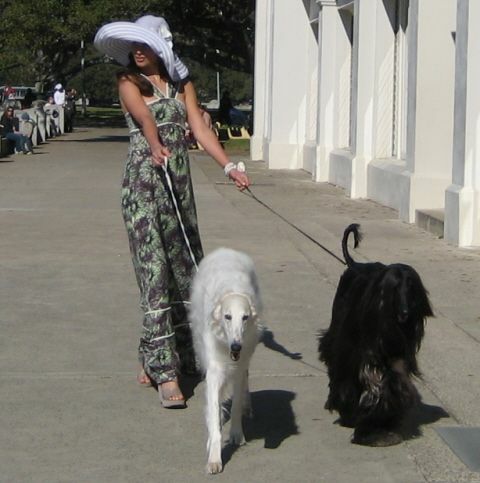 So don't forget to drop in again! Icy and two lovely friends! 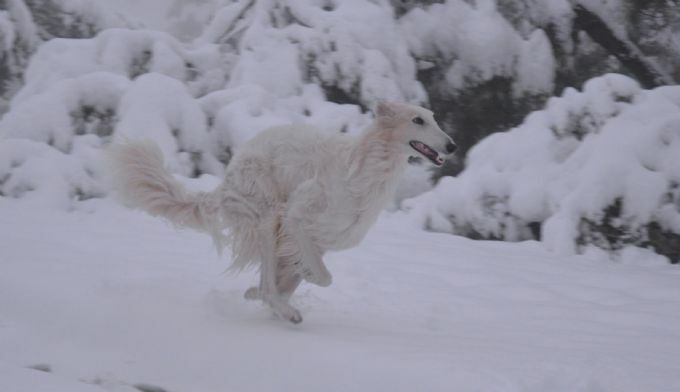 Icy looking so very gracious!